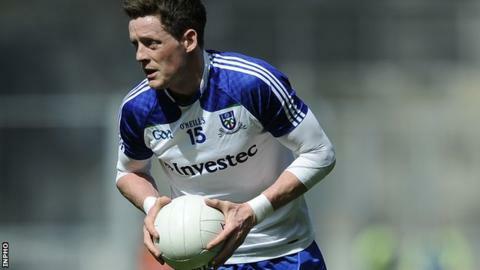 Monaghan forward Conor McManus could be facing over two months out because of the ankle injury he sustained in a recent club game. Scans have revealed that the All Star forward sustained ankle ligament damage which may require surgery. McManus's injury is currently in a protective boot and a decision will be made whether he will undergo surgery in around a week. If surgery is required, he will be ruled out for around 10 weeks. If the Clontibret may avoids an operation, he should be able to return to action in a quicker timeframe but either way, his prospects of playing in Monaghan's Ulster SFC opener against either Tyrone or Down on 15 June appear in major doubt. McManus was part of an impressive Farney County display two weeks ago when they comfortably accounted for Donegal in the Football League Division 2 final at Croke Park.